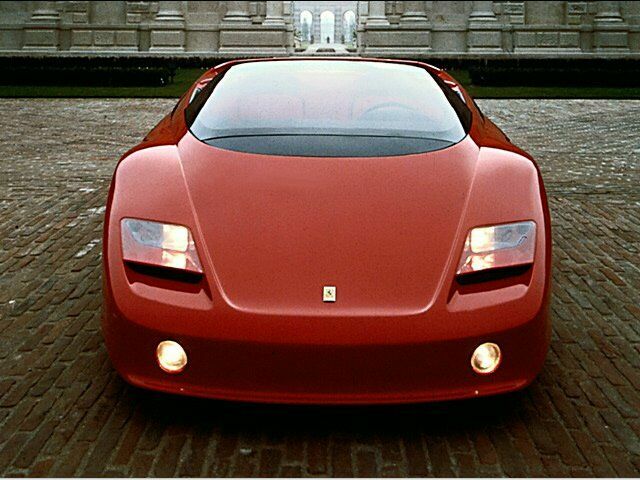 Ferrari Mythos first appeared in 1989 at the Geneva Motor Show. 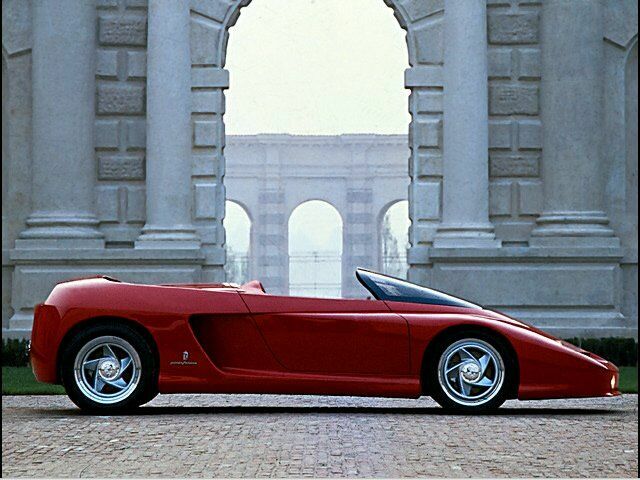 Built by Pininfarina and based on the Testarossa, it was built to emphasise Italian styling creativity. 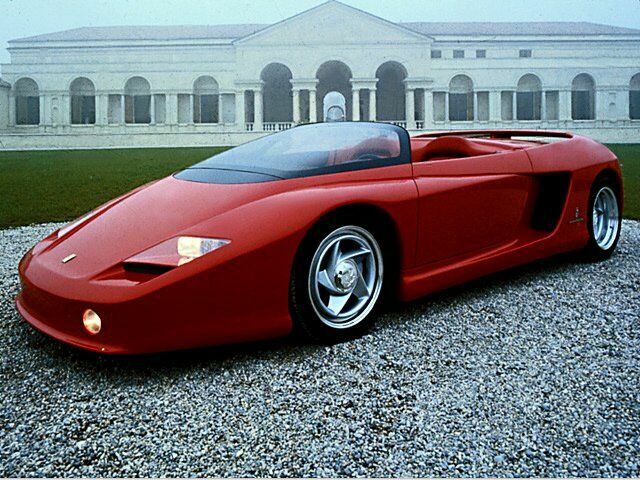 The Mythos made a second appearance at the 1990 Detroit Motor Show. The body is manufactured entirely of carbon composite materials. It offers two adjustable aerodynamic aids. 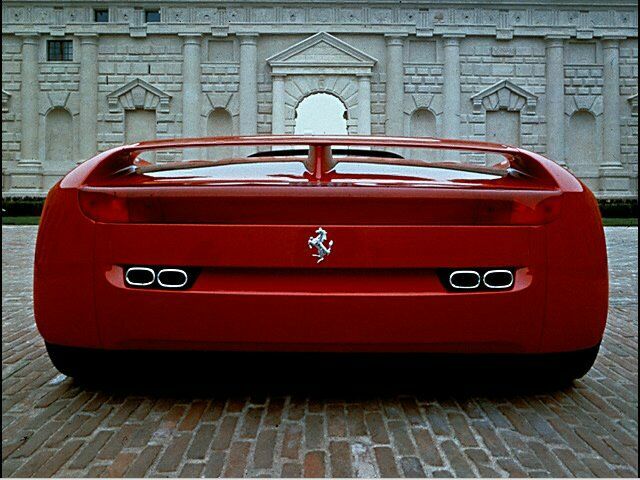 The rear wing can be raised and angled and the front lip spoiler can be altered, both acting automatically as speed rises.